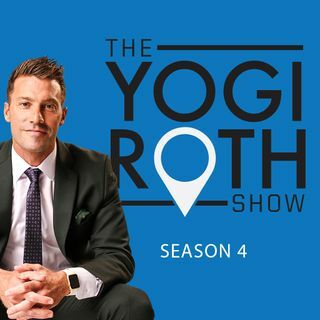 This week McKenzie Milton joins The Yogi Roth show to talk about his journey from a small familial town in Hawaii to a national stage in college football. Going into his senior year of high school McKenzie wasn’t highly recruited, but his passion for faith, family and football, along with an element of grit that most of us can relate to, took him to the next level. McKenzie accepted a scholarship offer to the University of Central Florida as a quarterback, and has proved that he deserves to be ... Maggiori informazioni recognized as the elite thinker and competitor, as last year he finished 8th in Heisman Trophy voting & has continued his success. Over the summer, I had the chance to meet McKenzie as he was a college counselor at the Elite 11 quarterback camp, so I was stoked to have this conversation and really get to know him on a deeper level. I knew that McKenzie’s work ethic and skill set were a force to be reckoned with from the moment I first saw him throw alongside college football's star quarterbacks, but getting to hear more about his story and where he came from really shows how well-rounded of a young man he has become. McKenzie goes into depth explaining how the lessons he has learned from coaches throughout the years have left a profound impact, teaching him life skills both on and off the field and keeping him grounded during his rise to fame. McKenzie also described his desire to get into coaching after his football career is over in order to be a positive influence for the next generation.